Grilling can sometimes be a bit of a process. From marinating your food, to waiting for the grill to heat up, and standing there watching and turning, turning and watching, it can be sort of tedious. But, only if you let it be. If there was a way to speed up the process, wouldn’t you jump all over it like a sizzling steak? Sure you would. 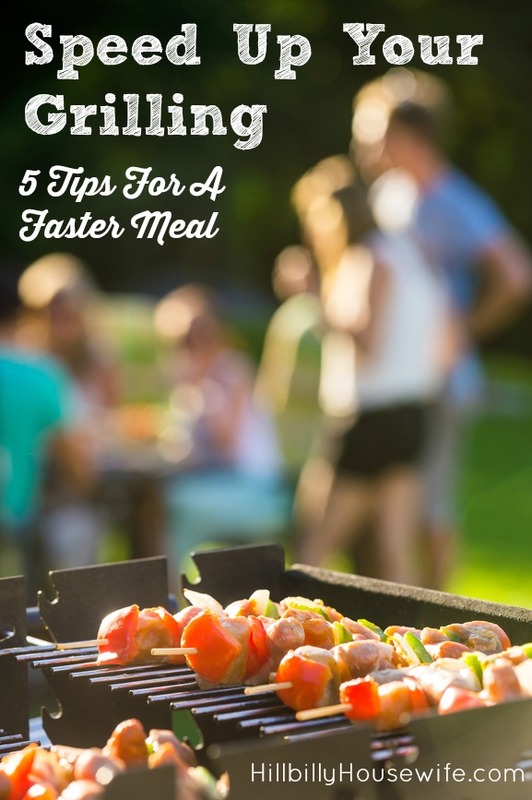 Well, here are five tips for quicker grill meals that will get you from start to finish faster, and with very tasty results. If you know you’re going to marinate your food, prepare the marinade the day before, or even earlier. Allowing the food to marinade while you are sleeping or at work is a nice time saver. This long marinating time won’t work for everything, but when you can do it, like for hearty foods like chicken, or for lighter marinades, go ahead and give it a try. It’s a great time saver. Even if you don’t want your food to actually sit in the marinade more than an hour or so, you can have a bowl prepared in the refrigerator so when the time comes, you pull it out, plop in the food, stir it up, and it’s ready to do its magic. Pulling a piece of meat out of the refrigerator and slapping it down on a hot grill is just asking for problems. When a piece of meat is cold throughout, two things happen. The meat will cook faster on the outside than on the inside, resulting in an over-charred piece of meat that surprises you with a terribly under-cooked inside. This also results in a tough chewy meat. The fibers of that ice cold meat actually seize up when confronted with the heat. You want your meat’s fibers relaxed when they hit the flame, so they can ease into the idea of being turned into your dinner, happily turning juicy and tender for you. Whatever you are grilling, whether it is beef, chicken, pork, seafood, or even vegetables and fruit, let them come to room temperature before you begin to grill. A quick tip here is to take it out of the fridge at the least an hour or two before you plan to cook it, or just let it marinate on the counter at room temperature to begin with. It’s really a misconception that food can’t stand a little time out of the refrigerator before spoiling. Letting the food come to room temperature will help speed up the cooking time, keep your product evenly cooked, and ensure that you get the tender juicy results you want. Chicken parts, meat parts, fish fillets, and more can usually stand a bit of portion reduction. If you have an hour and a half, you can rotisserie cook a whole chicken. But, you can throw on chicken cutlets and they’ll be done in minutes. If you’re in a hurry, look at your ingredients and ask yourself if they can be cut in half, made thinner, or diced. This is more than about just cutting a piece of meat in half, it’s about getting crafty with your cooking. One inch squares of pork on skewers will make a faster dinner than a pork roast. Potato wedges cook faster than whole potatoes. If you want your salmon to cook in ten minutes rather than 30 minutes, cut that whole fillet into four pieces. Think tapa size dishes on the grill for a shorter time from grill to table. There are very few meals that should be made on a grill with the lid off. When you have the grill uncovered, the outside air cools the food and actually slows down the cooking time. Yes, even on hot days. Because if you think about it, most of your grilling is done at roughly 300 to 400 degrees, so even a 90 degree day is cooler than the food needs to cook. By keeping your lid lowered, your grill acts more like an oven so that your food cooks thoroughly inside as well as getting that nice grilling on the outside. Read your owner’s manual for your grill and you’ll find instructions and recipes for grilling particular foods. Follow these instructions, close the cover, and you’ll find your meal is done perfectly every time, and on time, too! Your grill has sections that are hot, and sections that are not so hot. It just makes sense when you are trying to gain a few minutes on the grill to use those different temperatures wisely. While gas grills heat in the same pattern, you still need to know what that pattern is. Charcoal grills are a different matter; you create your own patterns of hotter and cooler areas by arranging the charcoal. Either way, you have to think about how you are going to arrange your food. Thinking about cooking on the various heat to best suit your food can speed up your cooking time. For instance, placing the meat on the hot section first to get a good sear, then moving it to indirect heat, frees up your hot section for more searing, such as to give your foil packets of veggies a good start. Then move those off to a cooler area to continue ‘roasting’ and use the hot spot again to give those pineapple slices some nice grill marks. As you move the food around, everything finishes cooking at the same time and as quickly as possible. Utilize all the areas of your grill to maximize the efficiency rather than moving food on and off the grill, cooking one food at a time. Learning these few little methods to speed up your cooking time will make grilling much more enjoyable. If you think of the process as long, tedious, and tiresome, chances are you won’t be lighting your grill any time soon. Make friends with your grill again. But do it fast! During the hot summer months, it’s no fun being stuck in the kitchen cooking while everyone else is enjoying the great outdoors. The solution … grill your food outside on a gas or charcoal grill. It’ll taste great, is a healthy way to prepare your food and will keep your kitchen from heating up. 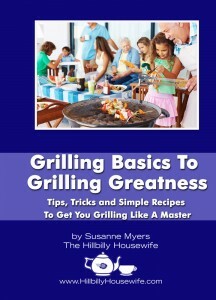 Even if you’re new to grilling and have never lit a grill, this book’s for you. 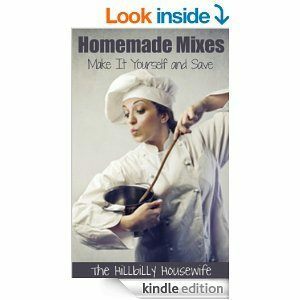 You’ll find plenty of tips, information and of course lots of yummy recipes. Click here to order your copy right now and you’ll be ready to grill all summer long.